The type of radiation emitted by microwave ovens is non-ionizing. This means that it doesn’t contribute to your chance of getting cancer like x-rays, ultraviolet light, etc. do. 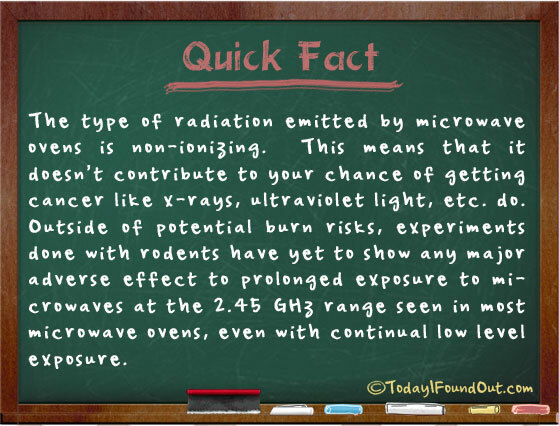 Outside of potential burn risks, experiments done with rodents have yet to show any major adverse effect to prolonged exposure to microwaves at the 2.45 GHz range seen in most microwave ovens, even with continual low level exposure.